Options MD for Weekly Options - Trading Concepts, Inc.	Options MD for Weekly Options - Trading Concepts, Inc.
Today’s market is more complicated than at any time in history. You can trace several of the biggest swings (often more down than up) to Asia, Europe or other world regions (heck, just look what happened ​back a few years ago when the banks in Greece closed down). Toss ​In ​Widespread ​Use ​Of ​Sophisticated ​Technology ​Tools ​& ​Computer ​Algorithms ​& ​The ​Changing ​Market ​Has ​Had ​A ​Damaging ​Impact ​On ​Traders. Nowadays, the average active trader under-performs a market index by 6.5% annually. How many times have you looked at a chart, saw certain patterns that indicated a directional move and you knew, with absolute certainty, the market was ready to move a certain way? … so you place your trade and begin calculating how much profit you “should” make. …and, maybe even walking into the office one morning and telling your boss to shove it. Then, ​To ​Your ​Surprise... ​The ​Market ​Takes ​A ​Turn. Or is this just a minor hiccup before the market turns back around in your direction? Yet before you can make a decision, your once-profitable trade starts losing money. In an instant, your dreams of all your extra income vanish and you’re left to consider how long you can you keep this up. It’s trades like these that make you wonder if you’ll ever make a consistent weekly income trading ​options. The same thought racks many traders’ brains, especially in today’s market. In ​Fact, ​You ​Might ​Be ​Surprised ​To ​Know ​That ​Several ​Factors - ​Many ​Out ​Of ​Your ​Control - ​Are ​Constantly ​Working ​Against ​You, ​Especially ​If ​You ​Rely ​On "​Traditional" ​Trading ​Strategies. The truth is, today’s market makes shifts that many traders fail to recognize because they’re not always noticeable on charts, especially when you rely on conventional indicators. So if you’re trading strategies that worked in the past and aren’t seeing the profits you want, your lack of success isn’t all your fault. So When Did These Market Shifts Begin? Part of the problem began shortly after the 2008 recession when, in an effort to lower interest rates and spur economic growth, new currency was thrust into our nation’s money supply. In fact, the Federal Reserve at one time was buying $85 billion a month in bonds from its member banks. This financial activity continued for years. So it was inevitable that this “new” money would hit the stock market. With such low rates, the only yield was in equities. And little did anyone know what kind of impact this would have on trading. But around 2013-14, traders worldwide felt the effect. The problem, though, is that few recognized the shift. And if they did, since they couldn’t pinpoint the problem, they continued relying on the same strategies and tools – ones created for markets that are much different than they are today. In the two years that followed, trends lasted longer and price rose faster than it corrected, which is the first time anyone had seen that type of price action. 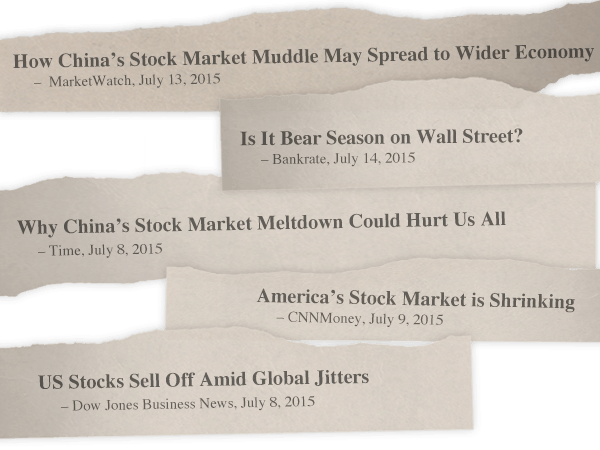 … and when the market finally took a bearish turn, they were sharp and happened before most people knew what hit them. And just when traders started to recognize this change, the Market threw another curve-ball that no one was prepared to see: Flat, trendless price action for the first half of 2015. These factors – the result of government activity and computerized trading – combined to create “hidden” challenges for traders stuck using traditional analysis methods that almost guarantee frustration with today's ever-changing markets. So ​What ​Is ​The ​Solution ​For ​Getting ​A ​Proper ​Read ​On ​The ​Market ​Nowadays? Are the right strategies from years past now the wrong approach? What I’m about to show you is a remarkably effective (and surprisingly simple) way to identify moves in today’s market. The added bonus is this process also affords you the opportunity to get paid every 3 days, on average. A ​Strategy ​Designed ​For ​Trading ​Today's ​Market ​That ​Consistently ​Puts ​Profit ​In ​Your ​Pocket ​Every 3 ​Days...​So ​Pay ​Close ​Attention. You see, popular indicators such as stochastics, MACD and RSI were first implemented many decades ago. For example, RSI was developed by J. Welles Wilder and popularized in the 1978 book, New Concepts in Technical Trading Systems. Stochastics was created by George Lane in the 1950s. And in the late 1970s, Gerald Appel created the MACD indicator. As we discussed earlier, markets have changed considerably since this time. So why hasn’t the process for predicting movement changed? So you can imagine my concern a few years back when I noticed the same indicators we used for years suddenly stopped working. After all, I’m expected to have all the answers. Right? Still, for whatever reason (my stubborn behavior), I was reluctant to stray from strategies that created such a successful trading business. As a trader, you live or die on your “edge” – whether it’s discipline, a specific routine, lack of emotional trading or a proven strategy. So I was set on sticking with my tried-and-tested game plan. Looking at charts, using trendlines, searching for patterns and noting certain indicators. Still, like most traders, I constantly crave reliable ways to predict market movement. As such, I’m always researching new ideas. And after a decade of research, I finally stumbled on a discovery that has forever changed the way my students and I trade. That day I saw something different in my charts... something new. 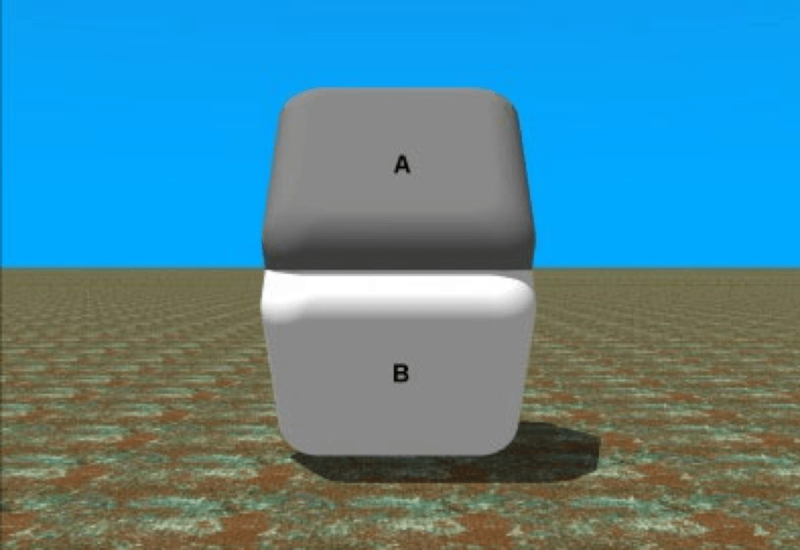 For instance, look at this picture – the surface color of both the A and B parts is identical. Yet it doesn’t look that way. 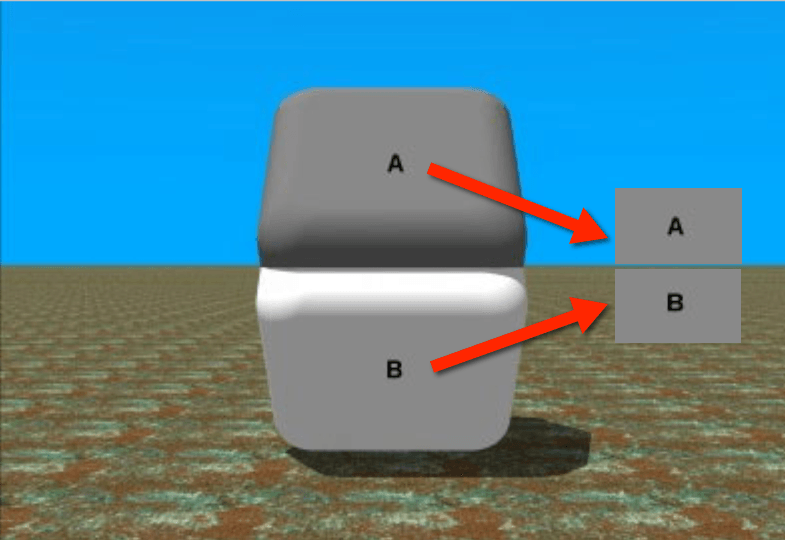 Although once I tell you to place your finger where the two parts meet, you look at the picture in a completely different way. The same change happened when I looked at my charts. Suddenly, I saw a concept with the power to make incremental improvements in predicting market movement. What I saw that day were fractal patterns. Repeated configurations that display at every scale. From trees and rivers to flowers and seashells, these never-ending patterns are all around us. And once you understand them, they literally allow you to predict the future with pretty good accuracy. The ​Markets ​Share ​This ​Natural ​Phenomenon ​Too. Since discovering how fractals appear in the markets, I’ve incorporated the principle into every level of my trading. And it’s become my main method for analysis and reducing risk. Once I discovered the presence of fractals within the markets, my biggest challenge was to figure out how to teach my process for producing consistent profits. It took me about two years to fine-tune the method. Using fractals as indicators is not a trick or a fad. These are naturally occurring patterns that never end. They’re clear in almost every chart. And once you know how to find them, you’ll actually see (not just predict) changes before they happen. When ​You Know ​How ​To ​Go ​Into ​Any ​Trade ​Situation ​& ​Identify ​The ​Fractal ​Patterns, ​You ​Can ​Positively ​PREDICT ​Almost ​Any ​Movement ​On ​ANY ​Time-​Frame. Best of all, it’s ​SIMPLE. Keep in mind, anyone can tell you how to place a trade. What my training does is show you the best probable entry and exit – both for maximum profits. It also reveals when markets change, so you know the times to get in and out. So if you’re tired of trying techniques and never getting off the trading treadmill, this could be your ticket to success. The fact is, markets change every couple of years. It’s up to you to recognize these adjustments and react to them. You saw earlier how market challenges were a proving ground for using fractals. And judging from the consistency, you can see that this process is a valid, viable and valuable trading tool. Along the way, I fine-tuned and perfected my method to create Fractal Energy Trading for Weekly Options. I quickly learned what to look for to manage risk so you protect your profits. Furthermore, instead of waiting several weeks or months to take profits using traditional ​options methods, I adapted the process so you collect profits in only days – 3 on average. Today, I invite you to join in on these profits. When you become a student in the Fractal Energy Trading for Weekly Options program, you’ll see when the markets are changing... before they actually change. You’ll collect profits that you’re leaving behind in the market right now – money that belongs to you. You’ll watch profits roll in whether the market goes up or down. After all, fractal patterns last forever. The Fractal Energy Trading for Weekly Options training ​Is ​A ​Mentoring ​Program ​& ​Delivered ​In 21 ​Modules ​Over ​Five ​Weeks. Each one includes a written PDF and a training video. So whether you like learning by reading, watching or listening, you get the materials in a way that works best for you. Each module also allows you to interact with me and other students. Whatever you need... you have a community of high-level traders willing to help. It’s like having your own mastermind group of top performers. If, as the saying goes, two brains are better the one. Imagine what hundreds could do for your trading success. Also, because everyone learns at different speeds, you have lifetime access to the entire platform, including all the training modules. I’ll even send you free lifetime updates every time I add material. That way you always have the latest tips and strategies for making consistent profits. After all, you’ve probably tried a strategy or two from some so-called “guru” that didn’t work. And then that person disappeared when you tried to get help. ​I Once Sat ​Right ​Where ​You ​Are ​Right ​Now. That’s why, the instant you click the button below to enroll in this program, I’m by your side to ensure you have all the tools, strategies and techniques to create a consistent weekly income trading OptionsMD for Weekly Options. After all, when you’re my student, you get an invitation to ask me any question, any time, to improve your trading. This ​Is ​A REAL ​Mentoring ​Program - ​Not ​Just A "​Home ​Study ​Course." It’s a program where you get as much direct access to me as necessary to help you become a more successful trader. Okay, so let’s deal with the pink elephant in the room – how do you get in and what’s the investment to have lifetime access to OptionsMD for Weekly Options, 4 Q&A webinars and direct access to me… for life? Would lifetime access to the program, continuous updates and my mentoring be worth $10,000, $20,000, $50,000 or more to you? The ​Fact ​Is, ​For ​Some ​Of ​You, ​This ​Access ​Could ​Be ​Worth ​Millions. try everything risk-free for an initial investment of just $297. From what current students tell me, the fee is a mere fraction of what they expected. And my guess is you'll feel the same way. And you get ​LIFETIME ACCESS to everything! Then, as you continue in the training, we’ll break up the remaining payments into just five additional monthly payments of $297. I know your hard-earned income is on the line every time you trade. From a mentor perspective, it’s easy to give advice when your own money isn’t at risk. Well, that’s why I’m throwing some skin in the game. In ​Fact, ​You ​Can ​Try ​It ​All, ​RISK FREE, ​For ​The ​Next 90 ​Days. You see, because I’ve mentored thousands of traders, I know with absolute confidence that my material works. So I’m not holding anything back. This mentoring program is for serious traders – and it doesn’t matter if you’re beginner or advanced – all that matters is that you’re willing to put in the work necessary to succeed. So please understand, I don’t want tire kickers or people who are all talk and no action. I want serious students ready to make a radical transformation in their financial future. Now here’s the catch: In order to weed out those people who aren’t serious about their trading, when you enroll today, you must agree keep this program for 90 days, actually go through the material, watch the trainings, take me up on all the support and implement the resources I share with you. Look, as your coach, you expect me to deliver results. So I’m not sugar-coating my expectations for you or worrying about offending people. The truth is, buying a gym membership doesn’t make you fit – you must put in the work. And if you have this type of commitment to your financial future, follow the steps exactly as I lay them out for you and, for some reason, still don’t see that this training is easily worth double your investment – contact my support team at the end of the 90 days and I’ll happily rush you a full refund. However, having now had over 2,000 students go through the Fractal Energy program – my guess is that you’ll come back and tell me this program was the best investment you’ve ever made in your trading. The truth is, if you apply my tips and strategies and use my coaching, you can’t lose. So ​Stop ​Using ​Yesterday's ​Tools ​For ​Today's ​Market. Discover ​A ​Trading ​Skill ​That ​Will ​Serve ​You ​For ​The ​Rest ​Of ​Your ​Life! There’s no reason why you can’t achieve the consistent weekly income you believed was possible for you when you first decided to trade ​options. Each day you delay is another missed opportunity and another day you’re not seeing behind the curtains of what’s really happening in the market today. Click on the Enroll Now button below to start seeing new profits today. Enroll in the ​OptionsMD for Weekly Options Mentoring Program ​ ...But Hurry It's Only Available For A Limited Time! Have a great day and I look forward to seeing you on the other side!